You can share Yahoo! 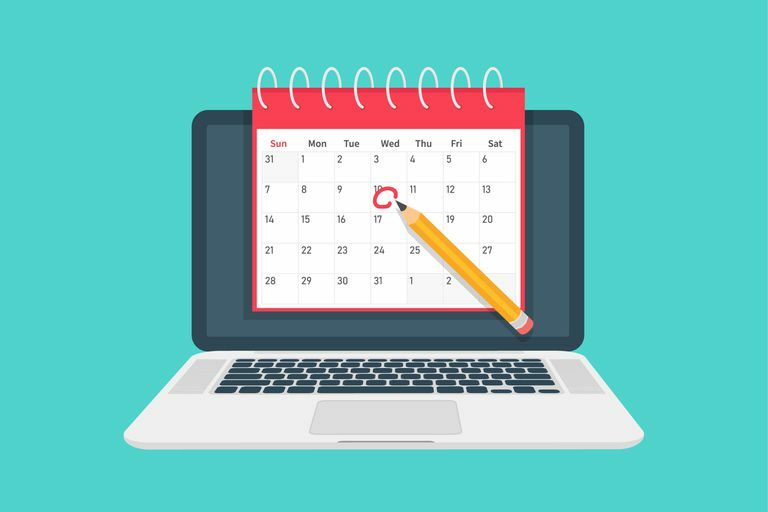 calendar events with anyone through what's called an iCalendar (iCal) file. These calendar files might have the ICAL or ICALENDAR file extension but normally end in ICS. After you make a Yahoo! calendar, you can let anyone view the events and import the calendar into their own calendar program or mobile app. This feature is great if you have a work or personal calendar that you want co-workers, friends, or family to be able to see whenever you make changes. Once you've followed the steps below, just share the URL to the ICS file, and they'll be able to monitor all your new and existing calendar events to keep tabs on your schedule. If you ever decide to stop sharing these events, just follow the steps explained below. Click the Calendar icon at the top left of that page. Either make a new calendar from the left side of the screen, under My Calendars or click the small arrow next to an existing calendar from that area. Name the calendar and pick a color for it. Put a check in the box next to the Generate links option. Copy the URL that appears at the bottom of that screen, under the To import into a Calendar app (ICS) section. Click Save to exit out of that screen and return to Yahoo! Calendar. If you open the link you copied or share it with someone else, that person can have access to the iCal file and see all your calendar events. You can always revoke access by returning to Step 7 and choosing the Reset link option next to the ICS section. It's the small, half circle arrow next to the words View events only. Clicking this Reset link option will make a new calendar URL and deactivate the old one.